Dr. Schochet's interest in diving has led him to assisting young divers with asthma. He understands that divers with asthma are more prone to diving mishaps. This is why it is important for asthmatics to have their medication regimen evaluated and have physical exams prior to going on diving trips. Although he doesn't treat diving illness, he is an advocate for preventing diving illness in young asthmatics. 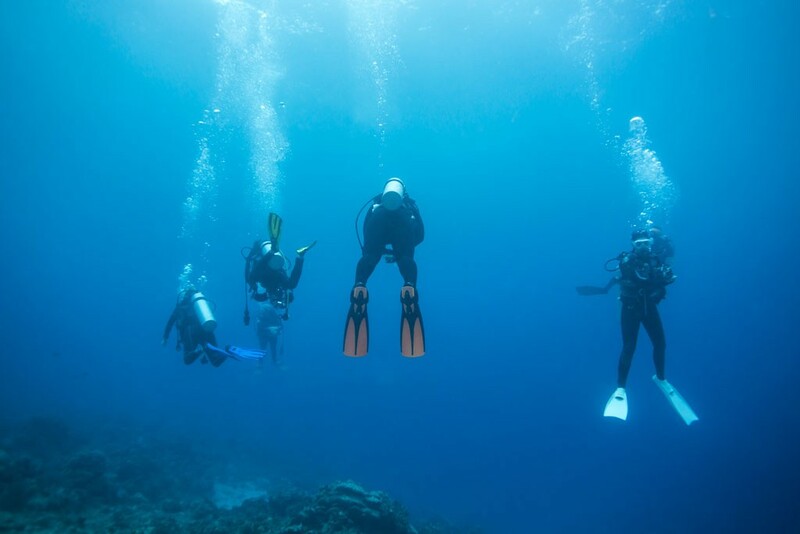 Diving medicine, also called undersea and hyperbaric medicine (UHB), involves diagnosing and treating SCUBA diving illnesses and injuries to the respiratory system including decompression sickness, barotrauma, arterial gas embolism, and pneumothorax. Because SCUBA diving is such a rapidly growing sport, with diving certifications tripling worldwide in the last 20 years, the need for quality diving medicine has similarly increased. The ability to recognize, diagnose and treat diving injuries and illnesses is key to a prompt and successful recovery after a diving injury. 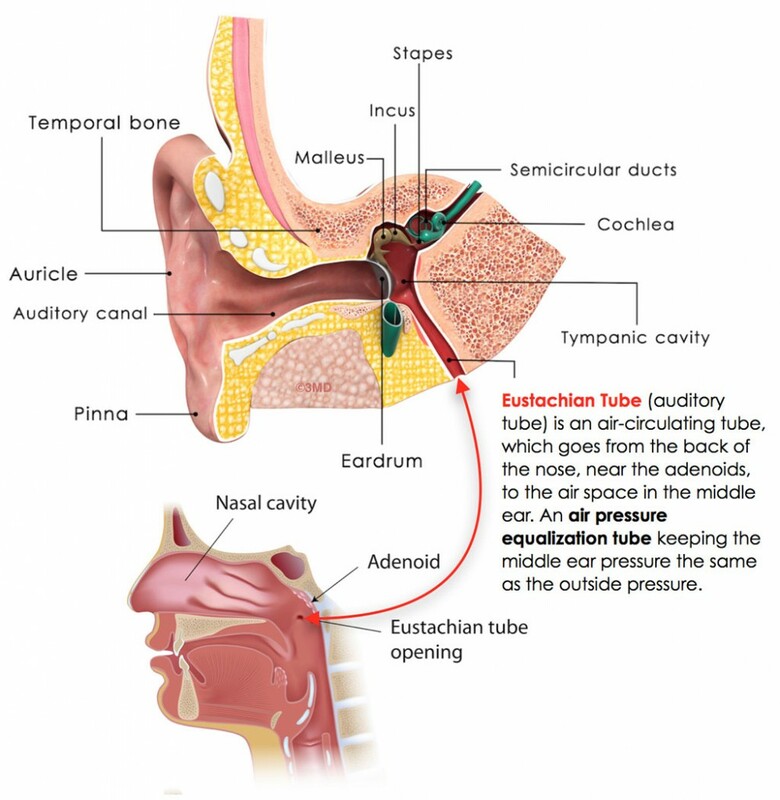 Middle ear barotrauma, also known as middle ear squeeze: Occurs when the Eustachian tube does not equalize pressure in the middle ear, allowing volume to decrease. Most common injury for first time divers. Symptoms include ear pain, vertigo, and possible conductive hearing loss. 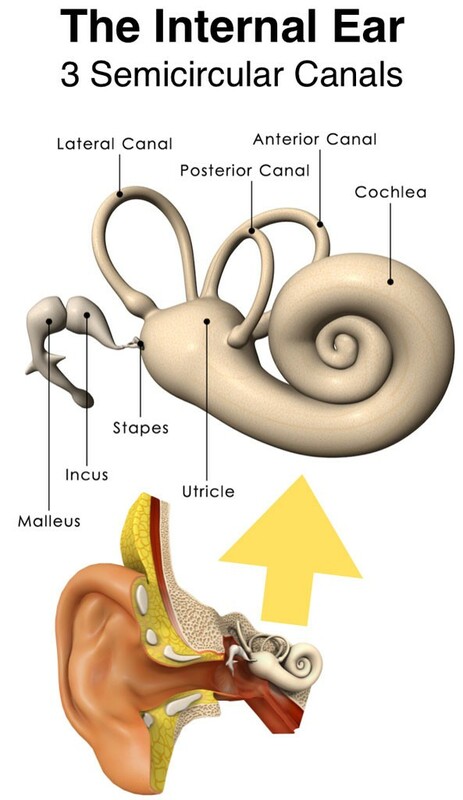 Inner ear barotrauma: Often occurs in relation to middle ear barotrauma, by which the diver forcefully uses a Valsalva maneuver to equalize pressure in the middle ear. May also occur during rapid ascent. Symptoms can include ear ringing (tinnitus), vertigo, and hearing loss. Sinus barotrauma, also known as sinus squeeze: Occurs when nasal congestion prevents sinus pressure from equalizing during descent. Symptoms may present as facial pain, nosebleed, and increased pressure with further descent. Mediastinal emphysema: Air forced into tissue around the trachea and heart. Subcutaneous emphysema: Air forced under the skin around the collarbone and neck. 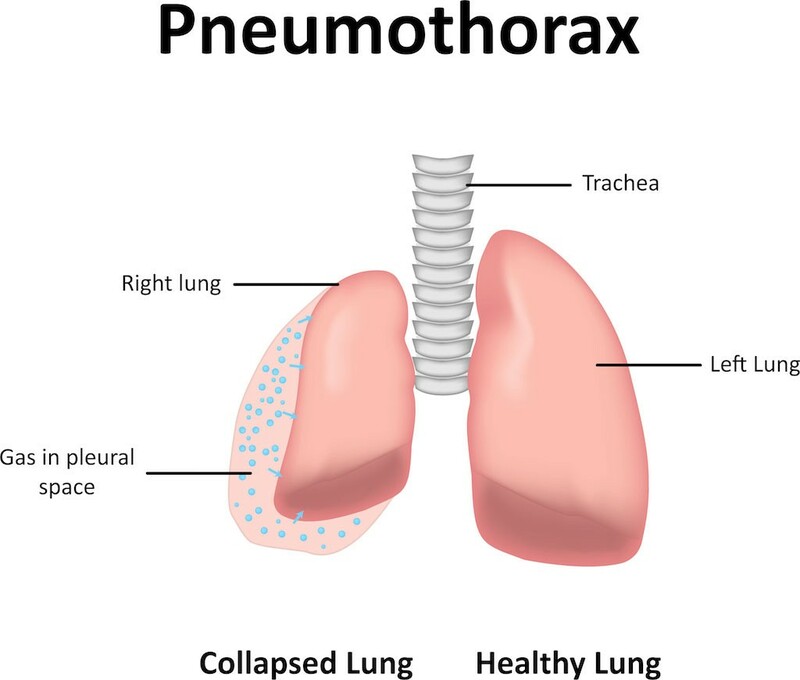 Pneumothorax: Collapsing of a lung due to the escaped air leaking into the chest cavity and placing pressure on the outside of the lungs. Spontaneous pneumothorax: Lung collapse which is usually caused by weak areas in the lungs is called blebs. 60% of divers who experience one episode of spontaneous pneumothorax are likely to have a recurrence. Arterial gas embolism (AGE): Condition, in which a trapped air bubble blocks the flow of blood, keeping oxygen from organs and tissues. 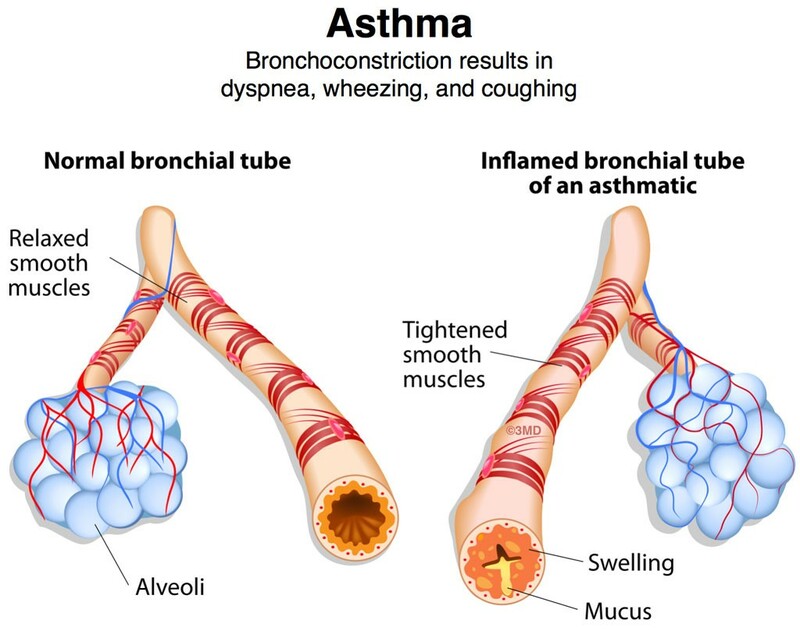 If you have permanent lung damage from asthma or chronic emphysema, you should not scuba dive. Divers who experience IPE may cough up frothy, pink sputum. IPE can be treated with 100% oxygen and a diuretic medication, and in most cases, has no residual effects. Health should be normal before diving is resumed. Decompression sickness (DCS): Bubbles form in blood and tissue, which causes local damage. 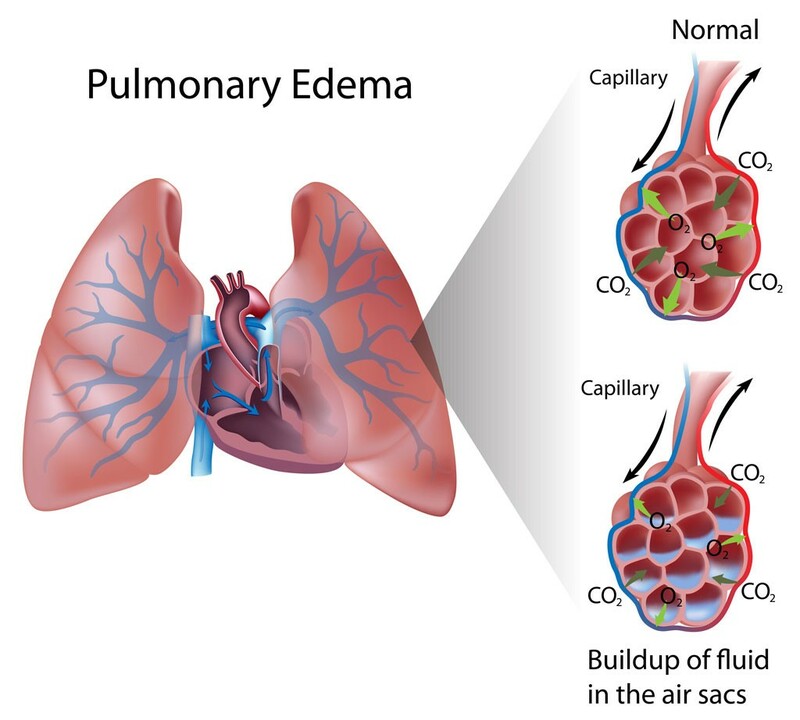 Arterial gas embolism (AGE): Results from bubbles entering the bloodstream and blocking blood flow, which can cause tissue damage. Decompression sickness, which is also referred to as the bends or caisson disease, arises when inadequate decompression follows increased pressure exposure. A diver’s body absorbs nitrogen and other gases, which can form bubbles when pressure is reduced quickly. Mild cases of DCS involve bubbles near or in the joints and cause the pain associated with the bends. More severe cases occur when a large amount of bubbles enter the venous bloodstream causing complex reactions in the body. DCS can be categorized as Type I or Type II. Decompression sickness is not a common occurrence (2-3 times per 10,000 dives) and usually becomes evident within 1-6 hours of a dive. 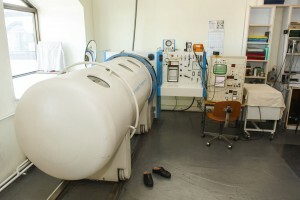 Treatment for DCS requires recompression therapy in a special recompression chamber as quickly as possible. Both AGE and DCS can present with only mild symptoms that may resolve on their own, however both forms of DCI can cause residual damage to vital organs. If you have been diving and experience symptoms of diving illness, you should see your doctor even if symptoms have subsided. 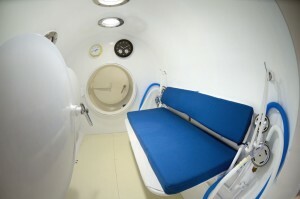 Severe diving accidents require recompressing divers in a recompression chamber. The goal of recompression therapy is to prevent both further and permanent injuries caused by DCI. Dr. Schochet cautions parents on SCUBA diving lessons for children. If a child over the age of 10 is physically, mentally and emotionally able to handle the skills and understand the knowledge needed to scuba dive and wants to learn, he or she should be able to get certified. A good way to determine if your child is ready for scuba diving in open water is to enroll them in junior scuba diver course that comes with restrictions. The minimum age is 10 years old (in most areas). 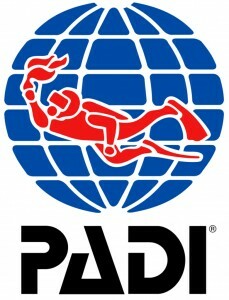 Student divers who are younger than 15 earn the PADI Junior Open Water Diver certification, which they may upgrade to PADI Open Water Diver certification upon reaching 15. For more information about evaluating and educating young divers with asthma please submit an online appointment request or contact the office of Dr. Peter Schochet and Dr. Hauw Lie at 972-981-3251.